Each year our prayer at ICEJ Canada is to send (8) Canadian Young Christian Leaders between the ages of 17 - 32 (who have never been to Israel before), to learn about their Hebraic roots and discover the Word of God, His promises and purposes for Israel. We have designed this scholarship program to guide them and increase their understanding of this great land and its people. Their journey once they are selected begins 2-3 months before departure with an educational program that equips them to grasp the history, complexity and culture they will be immersed into. We cover issues like Anti-Semitism and Anti-Zionism and give them tools to understand and wrestle with these important topics. This tour will take them to important, key Biblical sites and give them the opportunity to engage with respected teachers and guides as they share Biblical insights, history, current events, and explain true Biblical Zionism. Not only that, but they will also have an opportunity to embark on volunteer service experiences that foster relations between Jewish, Christian and Arab communities. Our hope is that this extra study will give them a greater glimpse into God's redemptive plan for Israel and make their journey into the land even more rich and breathtaking. A life changing event for their young lives! We are raising funds for the 2020 CISL Scholarships with our goal at $40,000 CAD this spring! Do you know a Young Adult Leader in your life who should apply to our Canadian Scholarship or ARISE Israel experience and would you like to help sponsor them? "The CISL/Arise Tour 2018 was a life changing experience. Going to Israel was a dream of mine since I started learning more about the Holy Land during my studies in Theology. I received the scholarship from ICEJ Canada, which removed all financial barrier to the trip. Aside from the financial part, all the delegates met online prior to the tour, which gave us the opportunity to get to know each other through the well-structured webinars. The webinars were made out of three things: fellowship, teachings about Israel and prayer. These simple details helped to make the tour all the more powerful, because fellowship is in the center of it all. Essentially, receiving the scholarship helped to foster a life changing experience, lifelong friendships and community, in such a short period of time. As for the tour itself, I was moved and affirmed in my own personal faith in Jesus as we visited the places where He walked, taught and miraculously healed people from diseases. Jerusalem is by far my favorite city in the World. I loved the diversity of the people, the strong culture, the food, and all the Biblical sites. Personally, I had an emotional and powerful experience specifically during our visit to the garden tomb. As I sat in front of the empty tomb, with my Bible in hand reading about Jesus' resurrection, I was moved to tears. I was touched on such a deep level as I sat meditating on His death and love for us all. Additionally, we received such valuable information concerning the ongoing conflict along with some insight on the plan of God for His beloved people. All the information that we received made me a better student of the Scriptures, and advocate for the cause of Israel. I believe that every Christian should visit Israel at least once in their lifetime". Philippe & Marysa Bedard are now assisting the Arise Program Directors! "The words I would describe my time in Israel would be challenging yet inspiring. God gave me vision on how I would have my part to play from day one of arriving in Jerusalem and listening to our speaker from Stand With Us talk about the Israel and Palestinian conflict. What made this trip challenging was that the Lord used the trip as a catalyst to reveal some things in my heart that needed further healing. It was amazing to experience the Mount of Beatitudes and the Sea of Galilee because I could sense His presence in places where nature is still preserved. Mount Masada was another highlight as I learnt the resilience of the Jews resisting their captors until the end and going up to the Golan Heights revealed that the war against Israel is still a very pressing reality. I thank ICEJ Canada supporters for allowing me the opportunity to experience such a monumental time in Israel’s history unfolding before our very eyes and showing me what I can do as a Christ ambassador for Israel"! 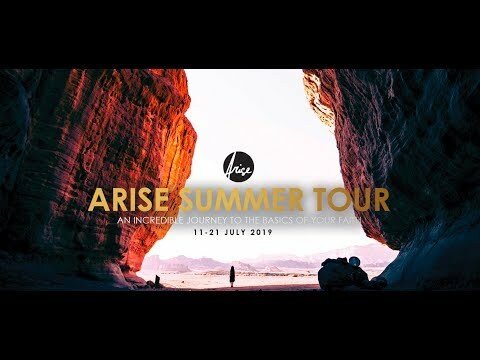 The Arise Summer Tour, where can I start... the experience brought new meaning and understanding to God’s word, I can confidently say that I understand and read the bible in a new way since the trip! Before I left for Israel many of the ICEJ leaders and other people that had been to Israel before had told me that the trip brings new meaning to the bible by bringing it to life. 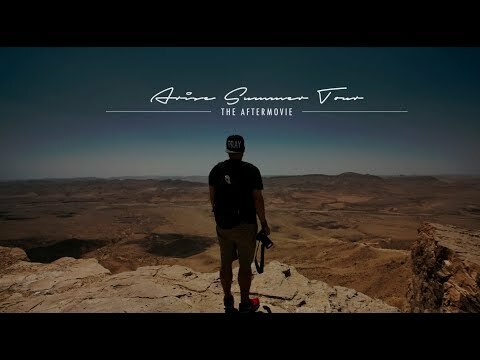 I didn’t fully understand what this meant at the time, so I didn’t think about it too much but after being in Israel and experiencing all that I did, I find myself telling that exact line to people; the bible comes to life. Besides that, I also grew in understanding about the history and present times of Israel, we had many webinars leading up to the trip as the scholarship recipients (which I highly advise people that are going on the trip to hop on board with the webinars so that they are given that extra information that will make a difference in the long run!) and while we were on the trip we heard from various people about different views regarding the past and present and future as well. All this to say that the trip opened my eyes and gave me experiences and memories I will never forget! Now I read my bible in a new way and can confidently share about the Jewish people as well as what is currently happening in Israel! Thank you so much for your prayerful consideration in supporting this initiative...Changing LIves for Young Adult Christian Leaders!